The Classic SE is all about simplicity and understated style. Exterior touches include radiator grille louvres in dark grey with a high-sheen edge, an oval steel exhaust pipe, and a new front apron painted in the vehicle colour. Inside, quality materials and finishes include upholstery in a choice of tasteful fabrics. There’s also an array of equipment to enhance comfort and convenience – from power-operated windows with one-touch control to a larger stowage compartment with a lid. 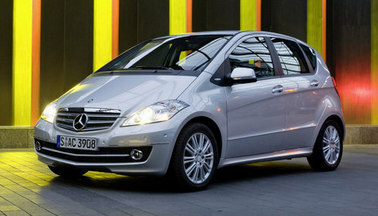 All Mercedes A Class SE offers are based on Car Leasing, With 3 or 6 months down followed by 35 Monthly Payments. Business contract hire deals exclude VAT / Personal leasing offers include VAT. 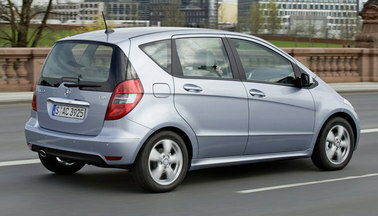 Alternative Mercedes A Class models, mileages and leasing profiles available on request. Deal based on 10,000 Miles per annum.